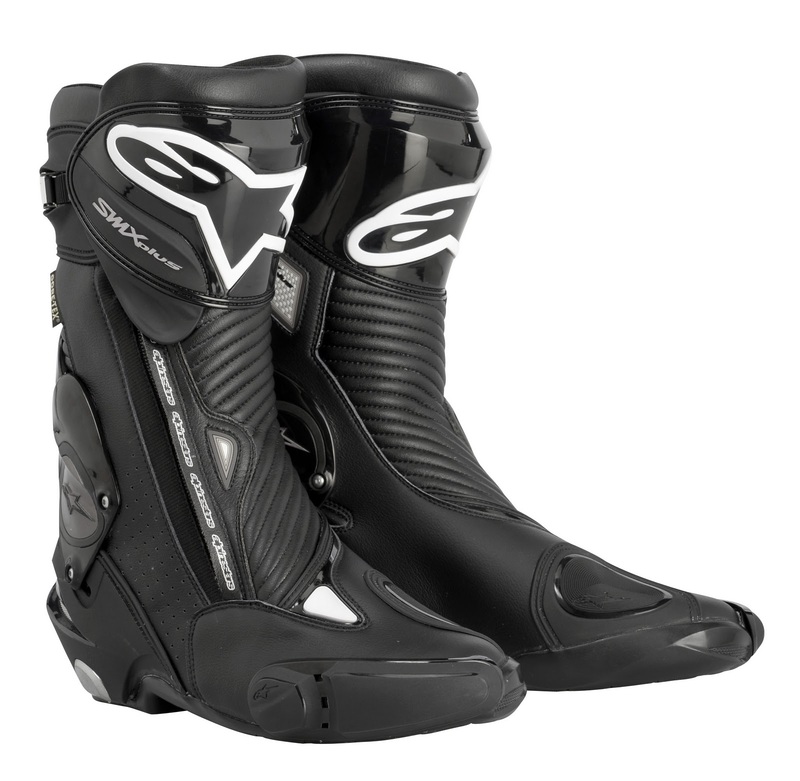 The brand new Alpinestars SMX Plus Gore-Tex Boots feature all of the great functionality that we saw in the redesigned SMX Plus Boots last year, with the addition of the most breathable waterproof membrane on the planet in Gore-Tex. Utilizing the same innovative Multi Link Control system for ankle protection (which limits hypertorsion, hyperextension and hyperflexion), the Alpinestars SMX Plus Gore Tex Boots are extremely protective and comfortable for the sport and sport touring rider. The shin armor is a high-modulus TPU plate which protects from that common footpeg-to-shin injury. The ankle is protected at each side by TPU protectors while the toe features a replaceable TPU slider. The Alpinestars S-MX Plus Gore-Tex Boots also feature a contoured EVA footbed that lends arch support and pedal feeling in the forefoot but is also completely removable if you so choose. The SMX Plus Boot changed the game for sport riding boots in its price range last year, and the addition of the Gore-Tex membrane will only further the popularity of this standout boot.